It is an unfortunate truth that headaches that are often easy to treat end up damaging patients quality of life for many years, often wrecking their entire lives. I recently saw a patient who kept diaries in second grade and talked about her headaches every day. She has had constant pain for the last nine years. We started treatment with a diagnostic physiologic orthotic and trigger point injections in her trapezius muscles and for the first time in nine years she was out of pain. She had spent a week at Mayo Clinic where she was told she had migraines and to “get over it, its genetic” and told to just accept it. Nothing like taking away a patients hope. She has had an orthotic now for 24 hours anThis patient has a problem with pain from muscles but no particular problem with clicking or popping joints.d is astonished she is still pain free. Most people associate pain with a physical problem in the same body region as the pain. This can be an inaccurate notion when the pain is associated with the chest, neck, and back, as well as certain headaches. Many headaches experienced around the ear may be the product of a local problem in the TMJ, or the temporo-mandibular joint, located just in front of the ear on each side of the face. This is the a complex region of the body, and often disorders in the TMJ can result in facial pain, or myofascial pain syndrome. But, more extreme disorders can commonly extend to the neck and back area, as well as create chest pain in some cases. 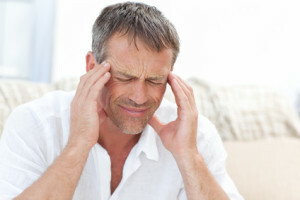 These pain episodes can often begin with a misalignment in the TMJ, which in turn puts pressure on the connected facial muscles. Depending on the tension created in the facial muscle region by the TMJ alignment problem, the pain can also shift down the chest in specific cases. This possibility suggests that chest pain is not always associated with coronary problems, many times needing medical attention from a TMJ medical dentistry specialist. These bouts with assumed sympathy pain are the actual result of TMJ disorder in many cases, including some headaches. This referred pain delivery beginning in the TMJ and myofascial region of the body is actuated by trigger points in the taut band within the muscles. The pain generated by the trigger point can extend to any connected body area, including the lower back, but it is most often causation for pain in the neck, upper back, and chest area. However, do not rule out the possibility of TMJ disorder migraines which can be located any where in the cranial region, as well as the central temple region next to the ear. While TMJ disorders can occur from accidents resulting in injury, they can also be impacted by the repetitive motion nature of the facial and jaw joint tissues and muscles. People swallow approximately 2000 times per day, so it is easy to see how problems in the eating and swallowing mechanism of the body can have a serious impact on other regions, connected or otherwise. People who are suffering from pain in the upper regions of the body should not rule out the damage potential from the constant movement in this body region. A TMJ dentistry professional may be able to provide a solution to the ultimate cause of the pain. 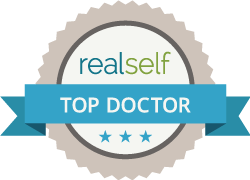 If you suspect TMJ is behind your pain, please schedule a consultation.